"I believe the Advent brought forward by Sri Mataji ... is taking place"
"We must awaken all the divine powers within us. It is our duty to the Adi Shakti. We must use our attention, our desires, our prayers wisely. We must remain forever faithful to the Adi Shakti within us and let Her incarnation Shri Mataji witness that all the work She has done for 40 years (40 years of incessant travels, speeches, pujas!...) was not vain. Christ earthly mission only lasted 3 years... Only a Mother, with all Her patience, love and dedication could endure the misbehaviours, mistakes and nonsense of Her children." "I believe the Advent brought forward by Sri Mataji, the incarnation of the great Mother, the Great Adi Shakti, is taking place in the hearts and minds of all the good willing people. We must awaken all the divine powers within us. It is our duty to the Adi Shakti. We must use our attention, our desires, our prayers wisely. We must remain forever faithful to the Adi Shakti within us and let Her incarnation Shri Mataji witness that all the work She has done for 40 years (40 years of incessant travels, speeches, pujas!...) was not vain. Christ earthly mission only lasted 3 years... Only a Mother, with all Her patience, love and dedication could endure the misbehaviours, mistakes and nonsense of Her children." "History is in the throes of turning its sharpest corner, that the cultural growth of mankind has been notably accelerated, that a new and unique epoch in human knowledge is opening before the educated world, that the potential field of receptivity to the philosophy of truth is wider and deeper than ever before, that secrecy is becoming superfluous, and that for the first time a new world-wide propagation of higher views has been rendered possible. Moreover the international political and economic conditions today are such that as to force people everywhere to see events and things in relation to the whole, i.e., to begin to philosophize! Nothing like this opportune phenomenon, which requires the utmost emphasis, can be found in centuries other than the twentieth. This astonishing age of social transition, general dissolution, technological revolution and mental illumination is, in short, a continuous acceleration of the process of turning man from a primitive to a scientific animal. But even this is not enough. Man should live in a way that is proper to him, and not after the manner of the beast, the reptile and the parasite. Hence the time is ripe to disclose a doctrine which does not, like most religions, contradict the findings of science but actually draws support from them." "A new major religion, on a scale to rival any of the great world religions from Islam to Christianity, is beginning to take shape even before the new millennium turns. Like those religions before it, the yet unnamed new millennium religion will configure the minds of individuals, form new institutions, and help direct the course of history. The signs of the new religion can be seen in society's quest for what is now being loosely called "spirituality." "
In their present state the established religions show little signs of an ability to bring peace on earth. On the contrary, most of the wars of history have been fought over differences of faith and different definitions of the nature of "truth." By clearing predicting the flowering of a new religion, Nostradamus discounts all the familiar established faiths. What is the nature of this new religion? Is it already developing, or yet to be born?" 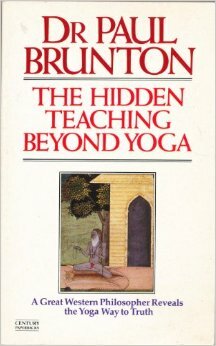 "Before I began to do research as a doctoral student and then specialize in working with people who had experienced kundalini awakenings, I never imagined the extraordinary range of multidimensional experiences I would encounter, or that this work, which I thought was very individual and personal, would lead me into reframing the nature of world events. I now do therapy and consult with people who have had powerful light and visionary experiences, who remember past lives as clearly as most of us remember breakfast, who channel light beings who are trying to raise the consciousness on the planet, who have traversed other- dimensional worlds, who have encounters with extraterrestrials or other-dimensional teachers, who demonstrate uncanny psychic awareness, and who are undergoing major energetic and emotional transformations accompanied by expanded consciousness. These life- changing phenomena are occurring across all cultures and ideologies, judging from letters I receive from all over the world. The people having these experiences are often successful, healthy, and highly educated people thrown into a paradigm beyond their belief system, who find themselves struggling with the twofold task of functioning in society and honoring an expanded awareness of intuitive consciousness. Kundalini is the creative energy and consciousness said by the ancient Indians to be coiled at the base of the spine. It is the residual of the energy/consciousness blueprint that distributes prana through the body and causes life to animate the fetus, When it is awakened there is a definite physical sensation that may be experienced in three intensities — with the slow spiral movement of a snake winding upward through the body, as a steady stream of energy, or with a sudden explosive power like a geyser erupting. This energy may trigger energy, heat, pain, emotional changes, physical problems, visionary experiences, psychic openings, expanded creativity, and many other events. In a full awakening it is the beginning of a lifetime of change in the physical, emotional, and spiritual condition that has the potential to lead to liberation. Some yogic masters state that kundalini awakening changes the cellular structure and the brain. Sri Aurobindo and Pandit Gopi Krishna felt its awakening could lead to a greater evolution of the human species. Many psychics and teachers claim that the planet may also be having a kundalini awakening. Our species may be in the throes of a transformation so profound that our present consciousness cannot fathom it." "The solemn promise of Jesus to the apostles embraces four objects, four increasing spheres of planetary and cosmic life: the individual psychic life; the national life of Israel; the earthly evolution and end of humanity as well as the divine. Let us take one by one these four spheres through which radiates the thought of the Christ before his martyrdom, like the setting sun, filling with its glory the whole terrestrial atmosphere right to the zenith, before shining on other worlds. 1. The first judgment signifies the ultimate destiny of the soul after death. This is determined by its own inner nature and the acts of its life. I have already expounded this doctrine, with reference to Jesus' conversation with Nicodemus. On the Mount of Olives he says to his disciples: "Take heed to yourselves, lest at any time your hearts be overcharged with surfeiting, and drunkenness, and cares of this life, and so that day come upon you unawares". And again: "Be ye also ready: for in such an hour as ye think not, the Son of man cometh." 2. The destruction of the temple and the end of Israel. "Nation shall rise against nation... They shall deliver you up to be afflicted..... Verily I say unto you, This generation shall not pass till all these things be fulfilled". 3. The terrestrial aim of humanity which is not fixed at some definite epoch, but must be reached by a graduated series of successive realisations. 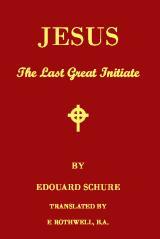 This aim is the coming of the social Christ or the divine man on earth; i.e. the organisation of Truth, Justice, and Love in human society, and consequently, the pacification of the nations. Isaiah had already foretold this distant epoch in a splendid vision beginning with words: "For I know their works and their thoughts; it shall come that I will gather all nations and tongues; and they shall come and see my glory. And I will set a sign among them" Etc... Etc... Jesus completing this prophecy explains to his disciples what this sign shall be; the complete unveiling of the mysteries or the coming of the Holy Ghost, whom he also calls the Comforter or "the Spirit of Truth which shall lead you into all truth". The apostles shall have this revelation beforehand, the mass of humanity in the course of time. But whenever it takes place in an individual consciousness or among a group of men, it pierces through and through. "For as the lightning cometh out of the east and shineth even unto the west, so shall also the coming of the Son of man be". Thus, when the central and spiritual truth is kindled it illumines all other truths throughout creation. 4; The last Judgment signifies the end of the cosmic evolution of humanity, or its entrance into a definitely spiritual state. This is what Persian Esoterism had called the victory of Ormuzd over the Ahrimanes, or of Spirit over Matter. Hindu Esoterism named it complete re-absorbtion of matter by Spirit, or the end of a day of Brahma. After thousands of centuries a period must come when, through series of births and rebirths, incarnations and regenerations, the individuals composing a humanity shall have definitely entered the spiritual state, or been annihilated as conscious souls by evil, i.e. by their own passions symbolised by the fire of Gehenna and gnashing teeth. "Then shall appear the sign of the Son of man in heaven .... They shall send his angels with a great sound of a trumpet, and they shall gather together his elect from the four winds". The Son of Man, a generic term, here signifies humanity in its perfect representation, i.e. the small number of those who have raised themselves to the rank of Sons of God. His sign is the Lamb and the Cross, i.e. Love and Eternal Life. The Cloud is the image of the Mysteries which have become translucent, as well as of the subtle matter transfigured by the spirit, of the fluidic substance which is no longer a dense obscure veil, but a light transparent garment of the soul, no longer a gross obstacle, but an expression of the truth; no longer a deceptive appearance but spiritual truth itself, the inner world instantaneously and directly manifested. The Angels who gather together the Elect are glorified spirits, who have themselves sprung from humanity. The Trumpet they sound symbolises the living word of the spirit, which lays bare the real nature of the soul, and destroys all lying appearance of matter. Jesus, feeling his end near, thus explained to astonished disciples the lofty perspectives which from bygone times had formed part of the doctrine of the mysteries, but to which each religious founder has always given personal form and colour. To engrave these truths on their minds and facilitate their propagation, he summed them up in such images as were characterised by extreme boldness and incisive energy. The revealing image and speaking symbol formed the universal language of the ancient initiates. Such a language possesses a communicative virtue, a power of concentration and duration lacking in the abstract term. In using it, Jesus merely followed the example of Moses and the prophets. He knew the Idea would not immediately be understood, but he wished to impress it in letters of flame in the simple souls of his followers, leaving to succeeding ages the task of generating the powers contained in his word. Jesus feels himself one with all the prophets of the earth who had gone before, as he had done, messengers of Life and of the eternal Word. In this sentiment of unity and solidarity with immutable truth, he dared address to his afflicted disciples the proud words: "Heaven and earth shall pass away, but my word shall not pass away". " 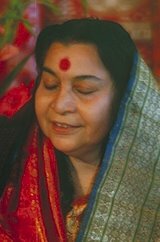 Shri Mataji Nirmala Devi "Today, Sahaja Yoga has reached the state of Mahayoga, which is en- masse evolution manifested through it. It is this day's Yuga Dharma. It is the way the Last Judgment is taking place. Announce it to all the seekers of truth, to all the nations of the world, so that nobody misses the blessings of the Divine to achieve their meaning, their absolute, their spirit."